The Catholic Bishop of Sokoto Diocese, Most Rev. Matthew Kukah, on Tuesday said fighting corruption and fixing Nigeria required more than a God-fearing leader. Kukah said this at the launch of a book titled “The Shadow List’’ written by Dr Todd Moss and organised by the African Centre for Media and Information Literacy in Abuja. He said that to fight corruption and build the nation was not just about goodwill but about getting to the root of the matter and tackling it head-on. “I have said it severally; let Nigerians keep saying they want a God-fearing leader. “Nigeria does not need a God-fearing leader, because God-fearing has become an excuse to appeal to Nigerians and win elections. 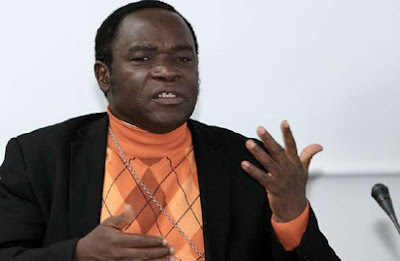 Kukah said that it was wonderful to talk about fighting corruption but that Nigerians could not fight it if they had not diagnosed the environment “as to why and how about corruption”. He said that it was sad that every time, Nigerians would be excited about a new administration but that the excitement never lasted because bad governance often set in.